Mirabilis  the collaborative neo-classical / heavenly voices duo Summer Bowman of The Machine in the Garden and Dru Allen of This Ascension  mixes classical sensibilities with exotic electronics and acoustic instrumentation to complement the vocal depth listeners are familiar with from Dru and Summer. The vocals are supported with a melancholic arrangement of flute, hammered dulcimer, and live percussion mixing with multi-layered vocal stylings to invoke a range of emotional textures. Sub Rosa is a Latin term meaning secrecy, literally translating to under the rose. The rose in ancient times was a symbol of sworn confidence of participants at a meeting. Mirabilis uses these connotations to refer to the subtleties and new layers explored on this release. These unseen, uncharted territories explored on Sub Rosa will draw listeners in to a new musical journey. 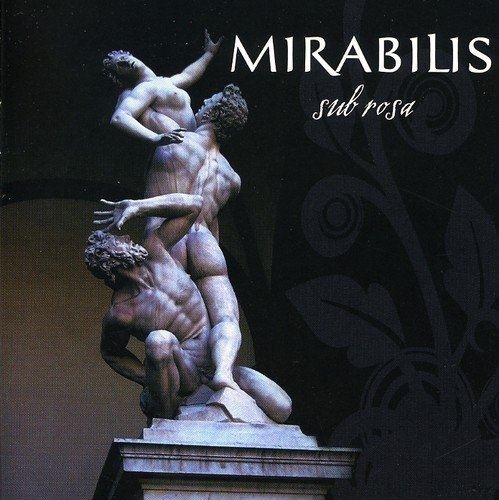 Mirabilis will appeal to fans of Lisa Gerrard (Dead Can Dance), Medieval Babes, and Loreena McKennitt. Summer Bowman is half of the Machine in the Garden, and has released three albums on Middle Pillar Presents to critical acclaim in the gothic/ethereal genre. Dru Allen sang for the gothic/ethereal band This Ascension, a cornerstone in the American underground dark music scene throughout the 1990s releasing four albums, first with Tess Records, then re-released on Projekt Records.